All the electrical devices in your home - every light, the phone systems, computers, the kitchen appliances all give off a frequency. The television is one of the major contributors of discordant frequencies. Most people are not aware of these frequencies. They have tuned them out; their energy field has adjusted and learned to live with them. This planet is woven with electronic frequencies. 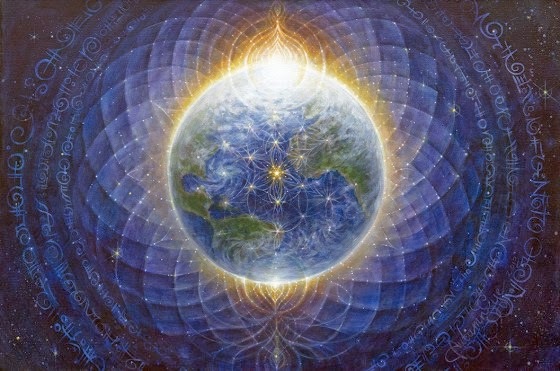 If you had the vision to see the strands of energy connecting all the power lines, electrical devices, cell phones, televisions and microwaves you would be amazed at how tightly woven this energetic matrix truly is. It surrounds your planet in an energetic grid of discordant frequencies. These electronic frequencies are always affecting the physical body, the mental state of mind. They are a part of the hypnotizing that takes place in this hologame. These electronic frequencies are addictive to your energy field; they hold a certain mindset in place. Be aware of these discordant frequencies and the matrix that they create. You will be less affected by discordant frequencies when you stay anchored and firm in your own personal energy field. The solar flares, the galactic bursts of energy are surging through this shield of hypnotizing electronic frequencies, activating certain aspects of the DNA codes. These cosmic energy thrusts are a wake up call to humanity. The earth's magnetic field holds the higher integrity of the hologame in place. This is being overridden by the electronic fields. We invite you to continue to maintain a strong energy field of love, joy and appreciation. When you vibrate these high coherent frequencies, you will not be affected by the bombardment of the planetary electronic grid. You create a cohesive field.